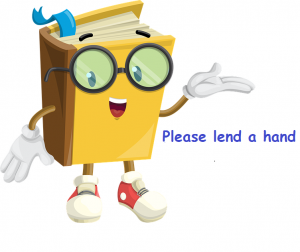 Our library service is run entirely by volunteers who give up their time for a few hours a week or month to keep the library going. We have around 30 volunteers ranging in age from 15 to 82 years. Our volunteers are local residents who are all passionate about books and reading. We have a variety of volunteer roles available such as meet and greet, issuing books, shelving books, computer help, administration, arts and crafts and children’s activities. We would love to hear from you if you are interested in volunteering. Whatever your skills and experience, we will try to find a role for you. Please register your interest and tell us about your skills, experience and availability by completing and returning the Volunteer Registration Form. If you are under 16 years of age, we also need parental consent. For more information about volunteering, please contact us or simply call into the library and have a chat with our volunteers.